This post is sponsored by Tree Classics. All opinions are my own. 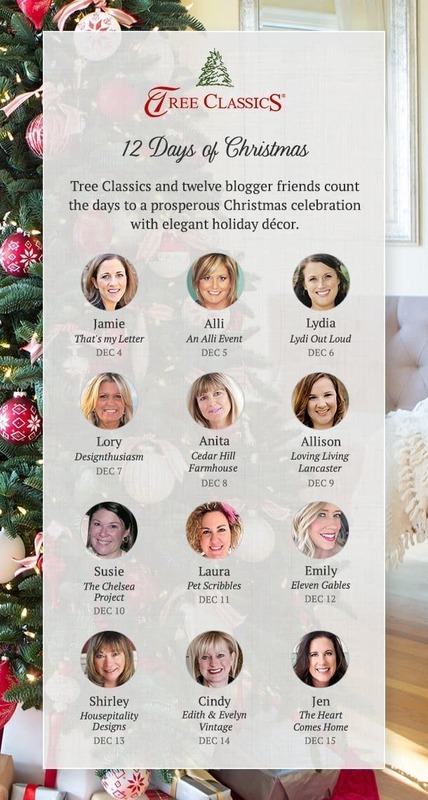 Welcome to the 12 Days of Christmas Blog Hop featuring holiday decor from Tree Classics! We’re counting down the days to Christmas. A part of me wants the days to slow down a bit so I can savor this magical season just a little longer. What can I say? It’s my favorite time of the year! My front porch is decorated and the tree has all the finishing touches. I do believe my house is ready for Christmas. Well, almost. I’m waiting for a few elves to drop by and help me finish wrapping presents. If only this could really happen! 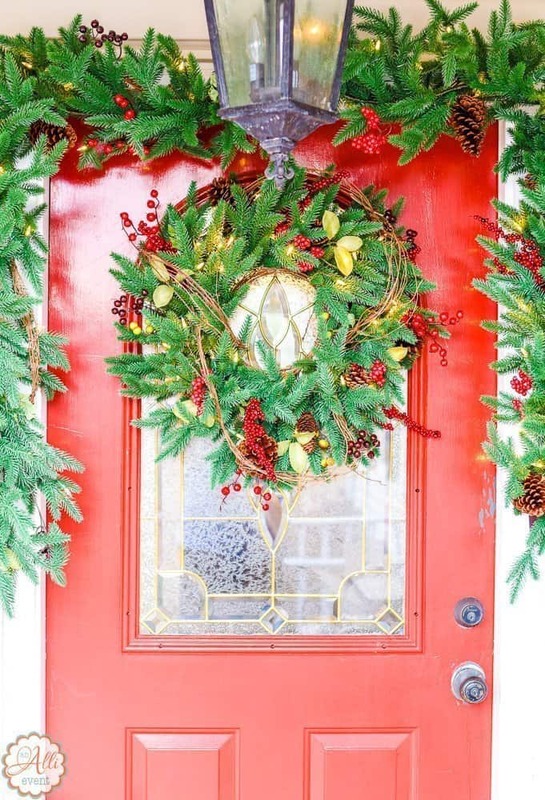 The front door is the easiest part to decorate when it comes to adding holiday cheer to my house. The lighted garland and front door wreath from Tree Classics is beautiful and the lights are battery operated so I don’t have to drag out the extension cords. Prelit garland is definitely the way to go when it comes to front door decor. Years ago, I remember trying to weave strands of light through my garland and wreath. A hot mess is what I achieved! The strands were too heavy and it never looked quite right. 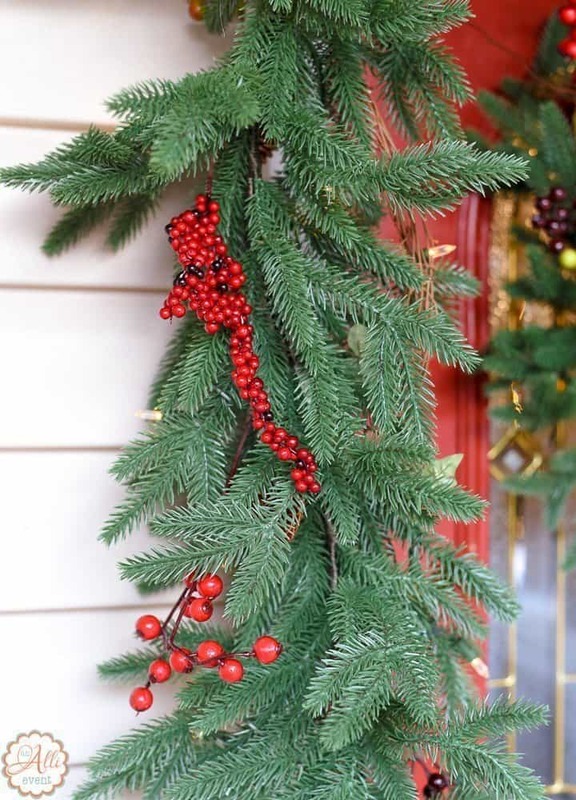 The 9′ Christmas Classics Garland is the perfect length and adds just the right touch to my front door. 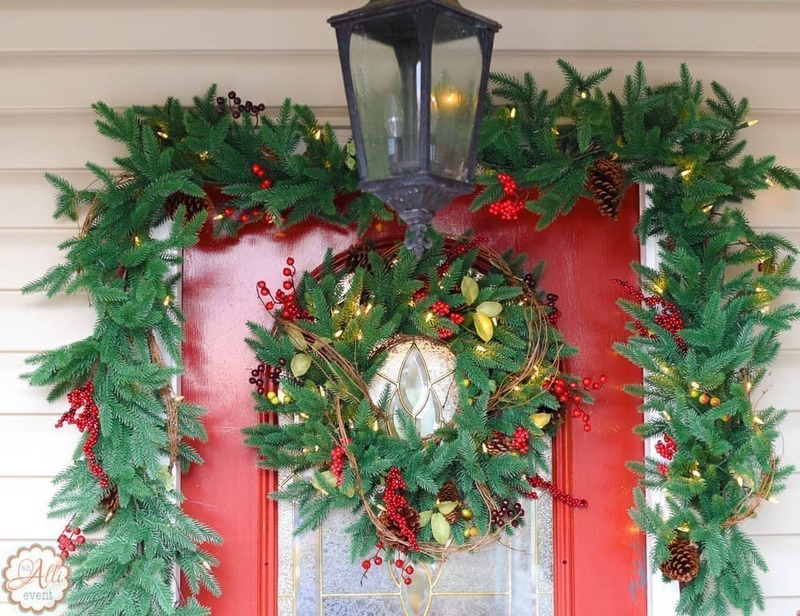 The 28″ Christmas Classics Wreath from Tree Classics fits my personality and my front door. My front porch is covered so I was able to decorate this past Saturday even though it was drizzling rain. I love that I can just push the tiny button on the hidden battery pack to turn on the lights for my garland and wreath! 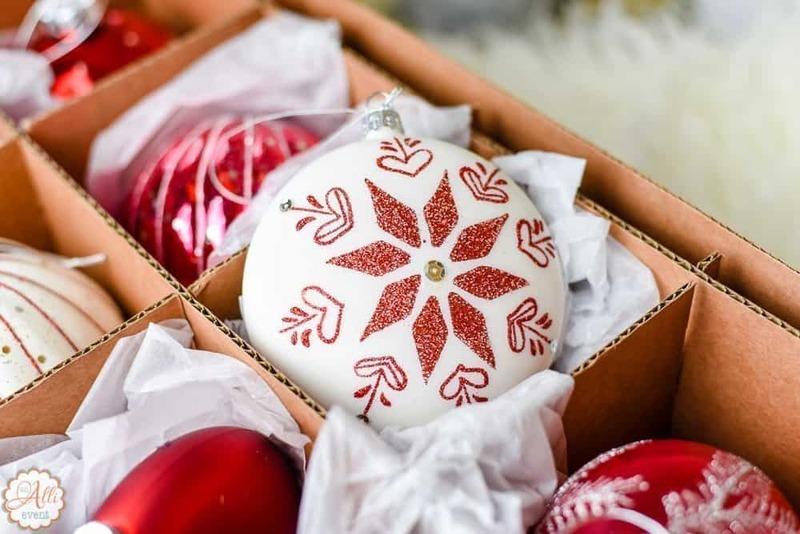 The Winter Delight Collection in an elegant red and white palette is my favorite ornament collection. 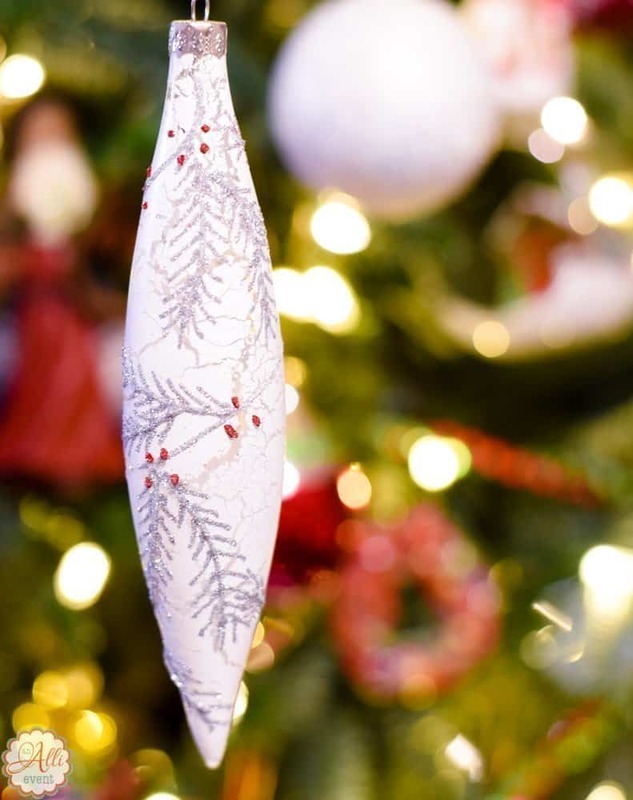 I can’t stop oohing and aahing over these exquisite mouth-blown glass ornaments. 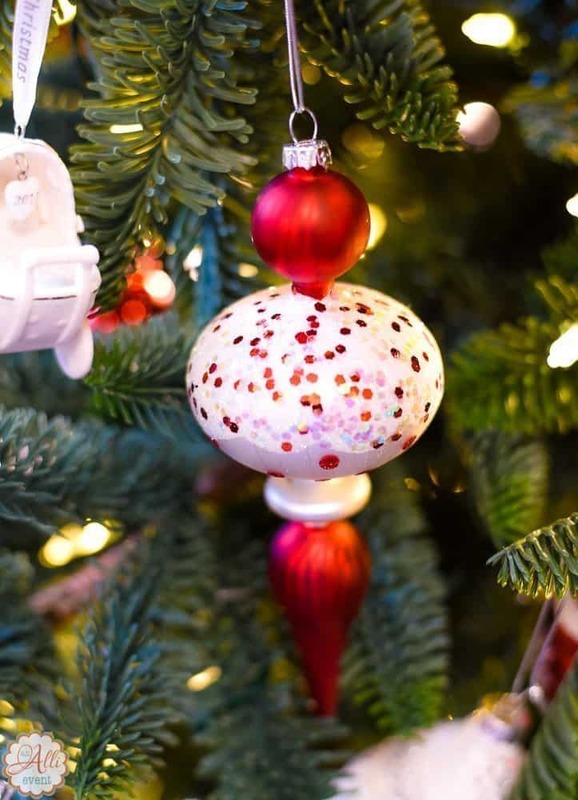 This 20-pc Winter Delight Ornament Collection from Tree Classics is not only beautiful, but each mouth-blown glass ornament is different. Added bonus: These ornaments are individually wrapped in tissue paper and packed securely in padded boxes. I couldn’t help but snap photos to text to my daughters as I was hanging these ornaments on the tree. They are even prettier in person! Intricately decorated with snowflake patterns, each piece is painted by hand and comes in a matte or glossy finish. 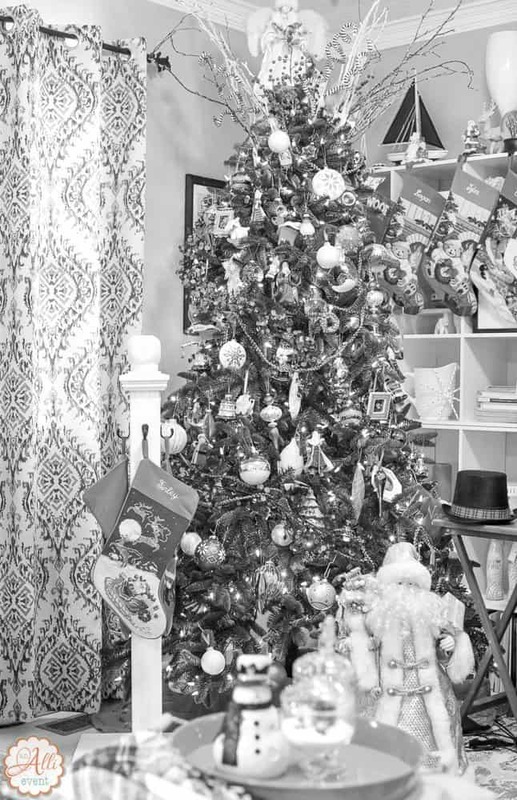 I’m crazy about black and white photographs, so I’m including a black and white photo of my tree. For some reason, this photo reminds me of my childhood Christmases. I wish you and yours a very Merry Christmas and I hope your holiday season is filled with love, laughter and Christmas cheer! 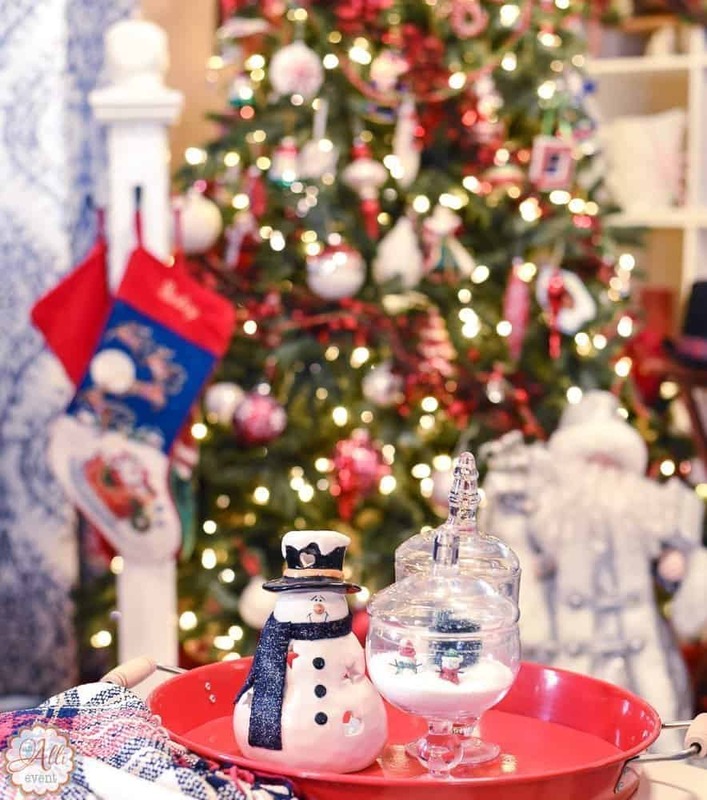 Be sure and visit the other bloggers to see their beautiful holiday decor! I love your decorations. These are so beautiful. 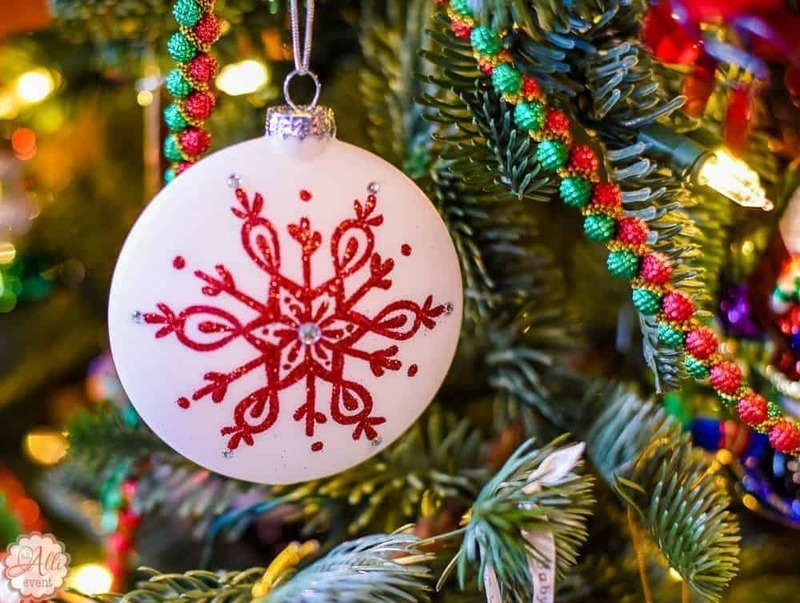 Thanks so much for sharing about these wonderful ornament products. I am bookmarking for After Christmas sales. That’s a great idea to wait for after-Christmas sales! These are, by far, my favorite ornaments. Your door is serious goals! 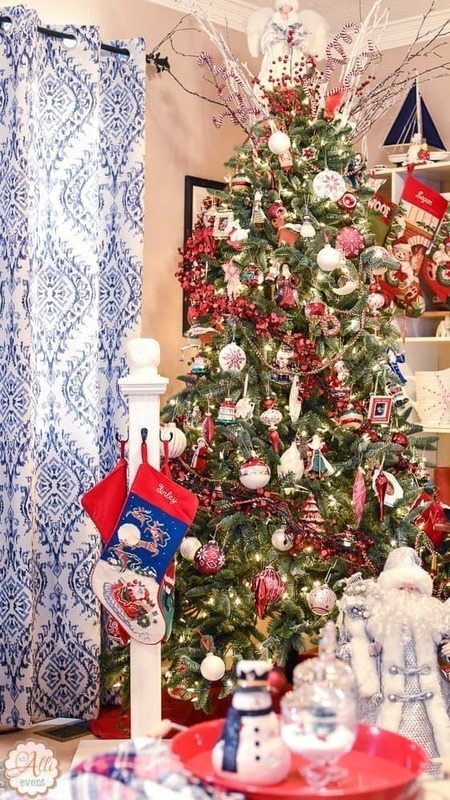 The wreath and garland look beautiful and I love the ornaments! The garland and wreath are so very beautiful and so very lush. What a most gorgeous way to greet your family and friends for the Holidays….Merry Christmas!! !